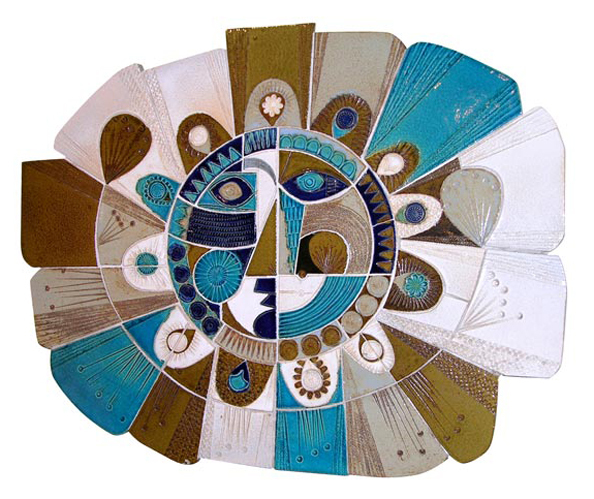 This rare glazed ceramic wall sculpture by Roger Capron depicting a sun, was inspired by the collaborative work he created with Jean Derval for the Hôtel Byblos, Saint Tropez. It is available at Guéridon (who specializes in Roger Capron pieces) for $42,000 at the time of this post. 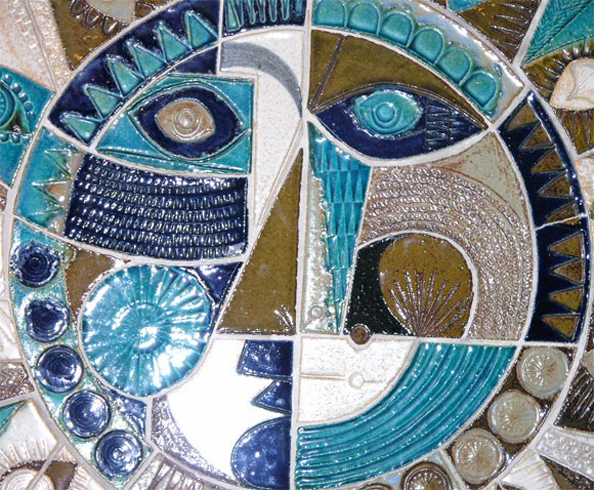 For information and additional pieces by Roger Capron see my other post here.